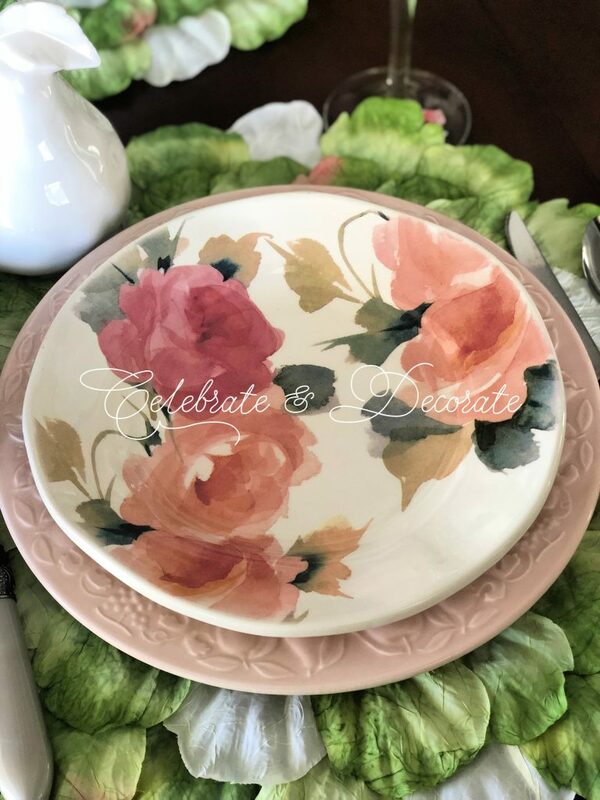 As I was going through dishes for my Valentine’s tablescape and got out my pink dinner plates.&nbsp; I spotted these salad plates I picked up at Home Goods at least a couple of years ago. I really like them, but for some reason I have never used them. The Flatware is Cowgirl Lace from the Pioneer Woman. Pier One wine glasses I picked up and used last fall. Although those are rose colored leaves, I thought they coordinated perfectly with my table. I took my ceramic pear off of this plate so you could see more of the salad plates that I used. Although our temperatures had dipped down in the 40’s this morning, the sunshine was still streaming into my dining room.&nbsp; The flowers came from my local grocery store. A couple of mixed bouquets of pink and white blooms were perfect. 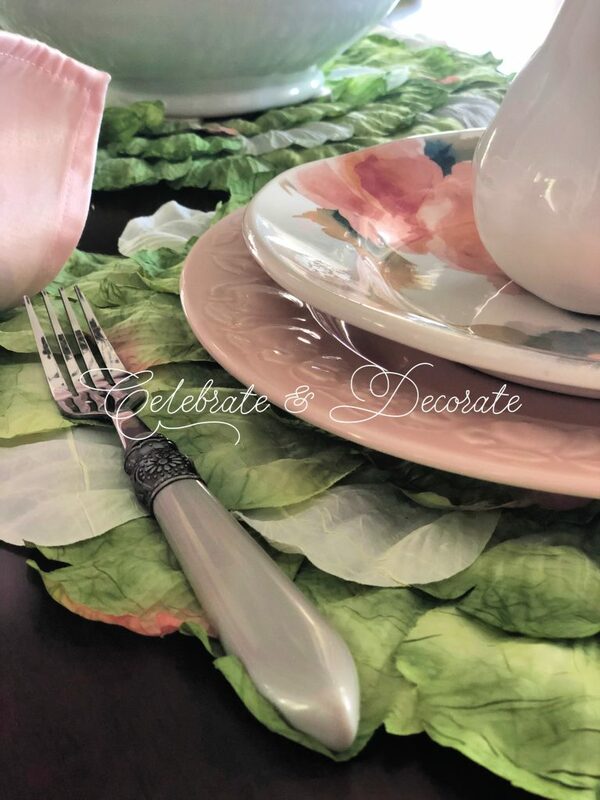 Hydrangea petal placemats, also from Pier One are perfectly suited to my pink and green table.&nbsp; I used an additional mat beneath my centerpiece, The pink plates have embossed fruit around the edges, so I thought my white pears were a nice touch. 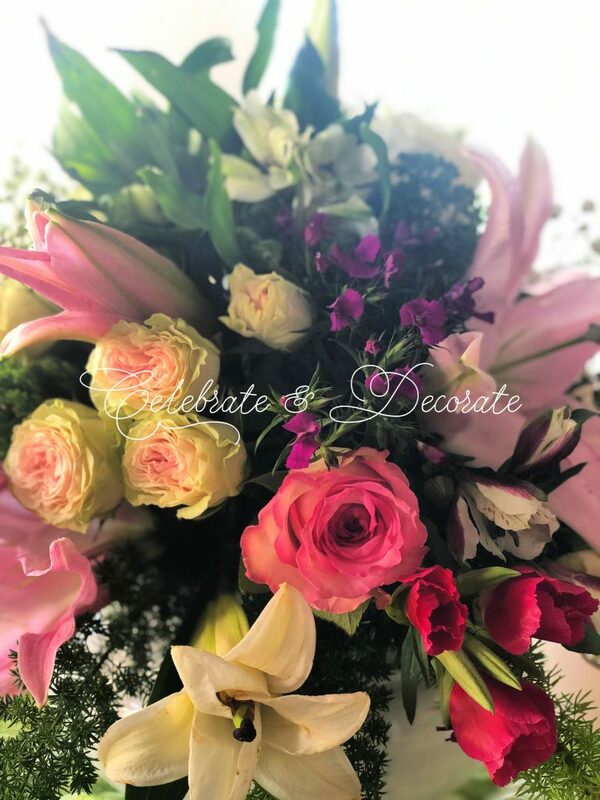 Don’t you love these spray roses?&nbsp; Perfect for a pink and green tablescape, with their pink centers and outer petals that are white with a soft green tinge. 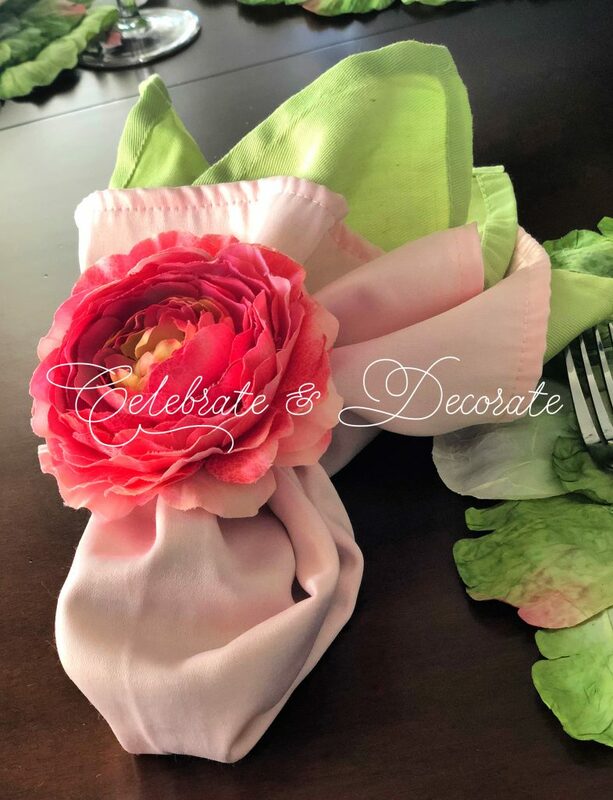 Pink napkins were layered over soft green napkins and tucked into pink peony napkin rings. 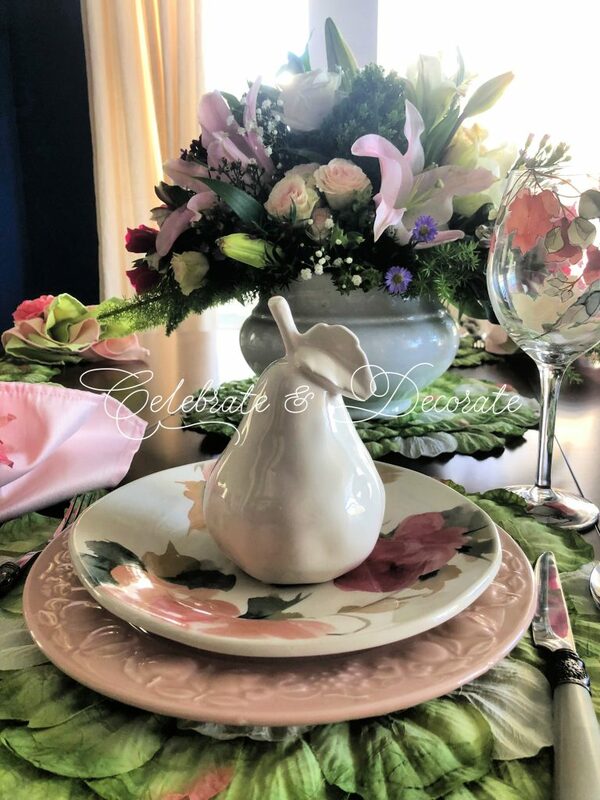 Come on over to my house!&nbsp; Join me for a lovely lunch at a pretty table!&nbsp; Are you ready for spring colors and flowers already like I am? How cheerful! That’s perfect medicine for these dismal winter days. Thank you Rita, that is what I was thinking…but I really don’t have dismal days down here, I am actually looking forward to a chance to head north and enjoy some snowy scenery! So pretty and spring like. I am all for color and anything that’s inspirational at this time of year! Love the dish pattern and the stemware was a perfect choice! Your floral arrangement is gorgeous. Thank you Liz! You are so kind. It was fun to get some flowers and get back to styling some tables! Very pretty!!! Makes me look forward to spring as it is snowing again here!!! This is so pretty Chloe, a breath of Spring! 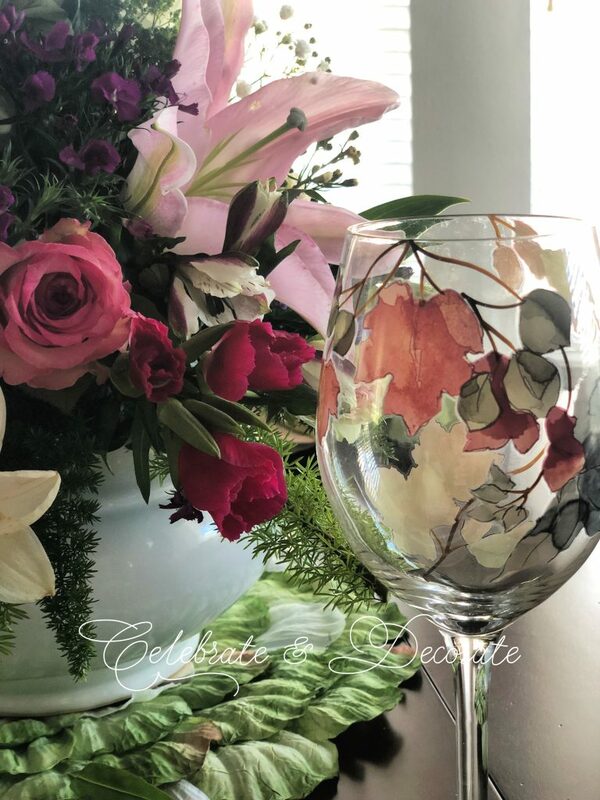 We have had such cold nasty weather in Alabama this winter I have already gotten some Spring like decor out trying to brighten things up and hurry winter along! LOVE your flowers, gorgeous! I have been following you for about a year. By far, this is one of the prettiest tables you have done! I live on an island, so our weather has been good this year, except for the temps. It was 7 degrees last week! Anyway, keep up the good inspirations and thank you! Thank you so much Ilene! Your kind words have made my day! Stay warm and hang in there! That is a pretty awesome floral arrangement. The dishes are lovely, but I am so intrigued by the place mats. Cool days ? I don’t live far from you and it looked like it was going to snow with the gloom and lower temperatures today. Too cold for me ! Glad you reminded us that spring is on the way. 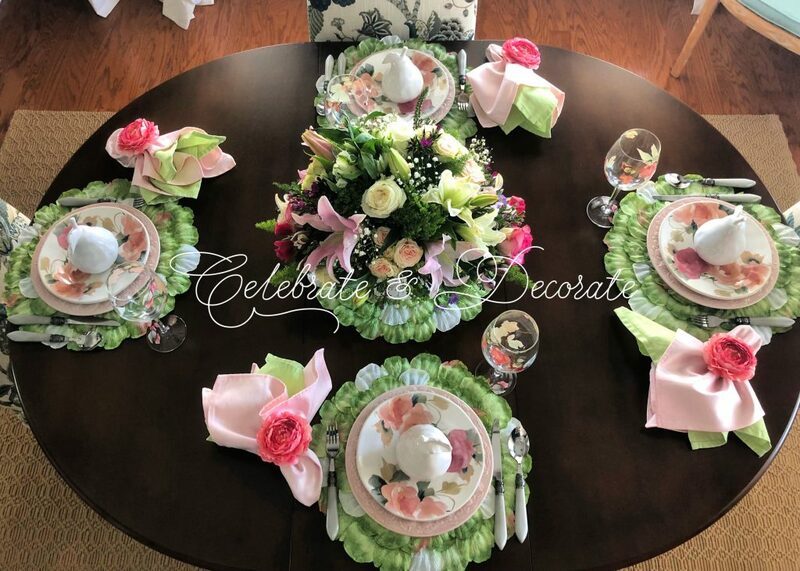 Chloe, your table is a breath of spring with the beautiful centerpiece and the floral salad plates. Your overhead shot is stunning! Catching up this morning, and this is such a lovely table. So romantic! Gorgeous flowers! 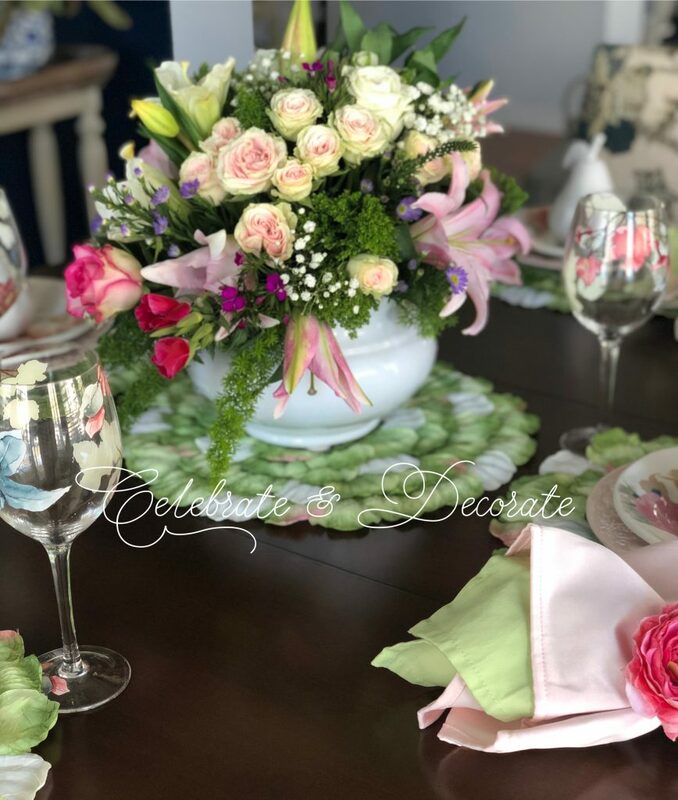 Your tablescape is absolutely gorgeous! The colors are so pretty and really gives you such a spring-like feeling! Thank you so much Karenann! Certainly it does not look wintery at all. I am so happy you enjoyed it! I love to hear from my readers!! Just tell me the time and I will be there. OMG! This is such a beautiful table, Everything matches perfectly, the color scheme is truly refreshing. I can say Springtime, Easter, Mother’s Day you name it. I guess I can speak for everyone when I say you are Sensational! 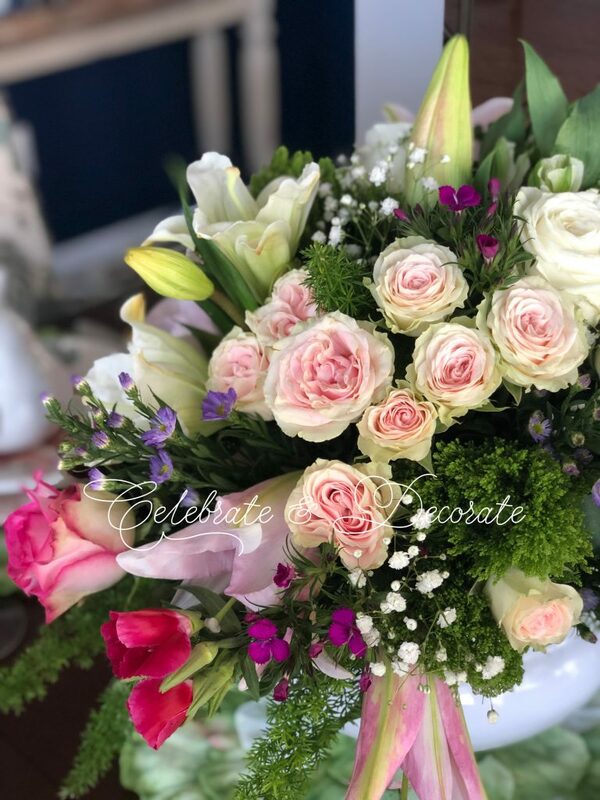 Thank you so much Edmee, you are so sweet, and Yes, I think you are right, this could be used for many occasions. I love your beautiful table Chloe, At first the salad plates reminded me of Franciscan Rose?? I think that was the name of those plates. I love the pink and green and it certainly makes our cold rainy weather here in Florida just a bit more like springtime. Hugs my friend. Gorgeous tablescape, Chloe! I’m ready to bring out some springtime dishes, too. I’m holding off until the end of the month, maybe. Thanks so much for sharing with us at Snickerdoodle Party. The tablescape has proclaimed Spring is on its way! The tablescape looks fantastic. I adore pink and green together. Thanks for sharing at the Snickerdoodle Create Bake Make Party. 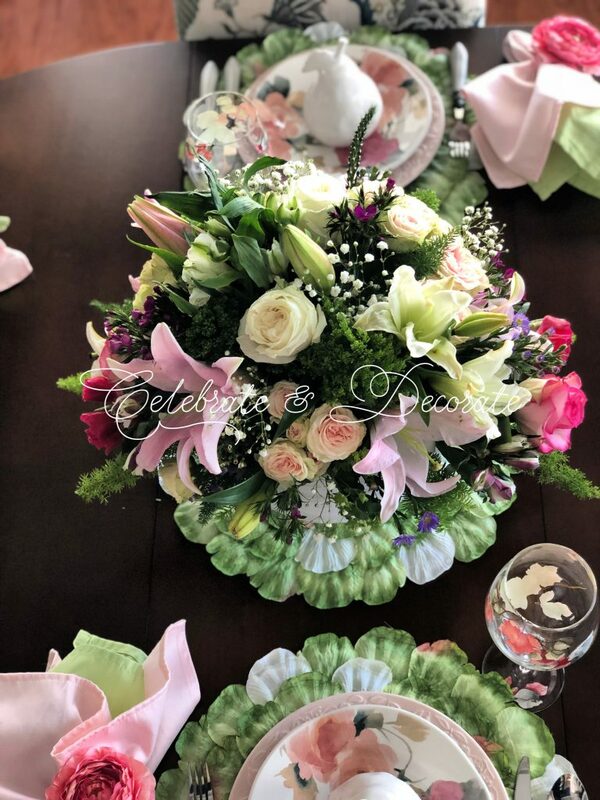 I really love the way this table setting looks and the colors are perfect for spring. Thanks for linking this post with us at #omhgww! Thank you so much Alice, it is fun to begin using spring pastels!